It's true. Saturdays are made for brunch. It's also best to bring along a few good friends and order a few mimosas while sitting out in the sun. It's definitely the best way to kick of your day (and the weekend)! This past Saturday we brunched at the NW Olympia Provisions location. 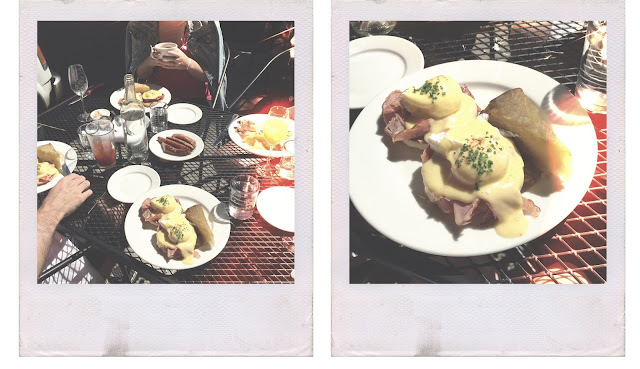 It was a date with laser potatoes... and eggs benedict... and kielbasa for the table... I'm already looking forward to next Saturday. Just gotta make it through the week.